Locality: United States, Colorado, Routt, Park Range; ca 22 air mi NNE of Steamboat Springs, along the north fork of the Elk River. 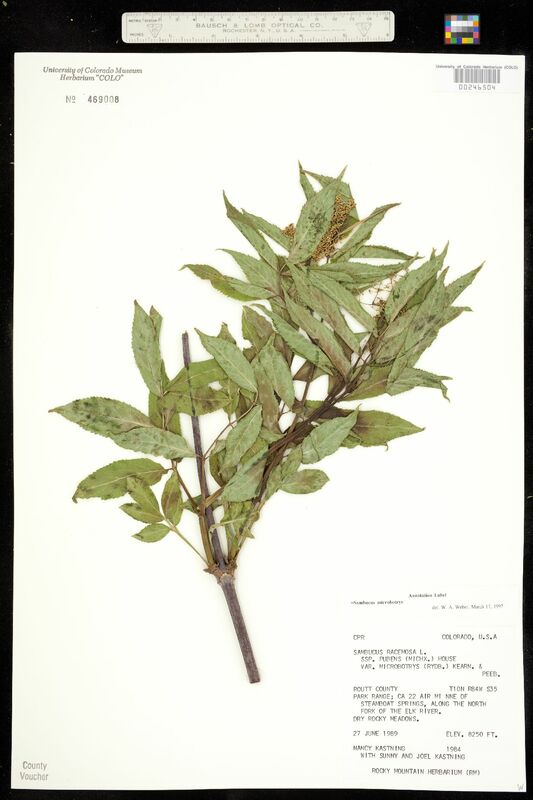 Notes: =Sambucus microbotrys, det. W.A. Weber, March 17, 1997. 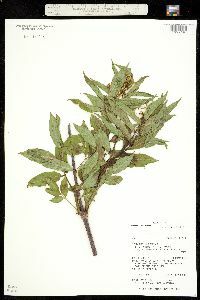 Original ID as Sambucus racemosa L. ssp. pubens (Michx.) House var. microbotrys (Rydb.) Kearn. & Peeb.